Facebook has more than 1.7 billion users from all around the world, with more than 900 million people visiting every day. If you haven’t yet started using Facebook for advertising or you're still looking to grow your top of funnel in new creative ways, it could be one of the most valuable assets in your marketing stack. When it comes to effective marketing, one of the most important pieces to get right is defining your customer avatar. Once you’re clear on who you’re trying to do business with, you’ll need to find a way to reach these people. With Facebook Advertising, you can specific criteria for Demographics, Interests, Behaviors, Connections, and Custom Audiences to target people that match your Ideal Customer Avatar (ICA). 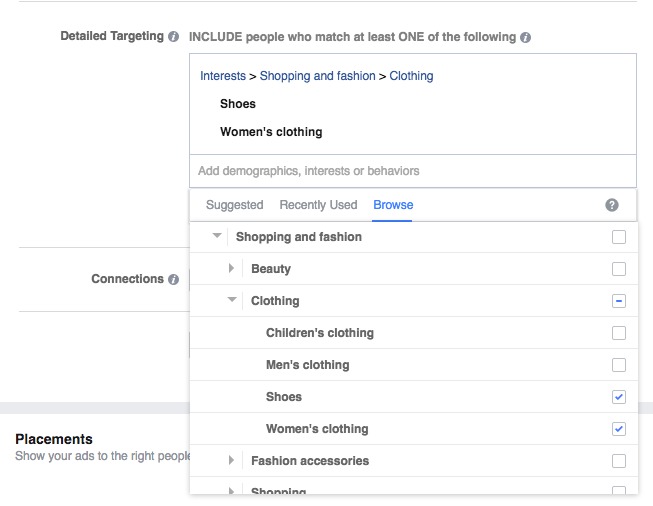 For example, if you're an E-Commerce brand trying to reach 18-35 year old women in Los Angeles, who are also interested in fashion and just got a new job, you can specify these settings in your targeting and run multiple ads to that exact audience. While it’s clear to see the value in running Facebook Ads with such specific targeting, there are some important pieces to get right in order to set up an effective campaign and get some real results. To run an effective campaign on Facebook, it’s important that you start off by setting clear goals for what you aim to achieve. For an E-Commerce brand, you’d likely want to get more people to visit your website, make a purchase, or comment on your page. If you’re a mobile app startup, you’d probably want to get people to install your app, or like your page. Whatever the case may be, make sure you set “SMART” goals so that you can measure your progress, and refine your campaign over time. 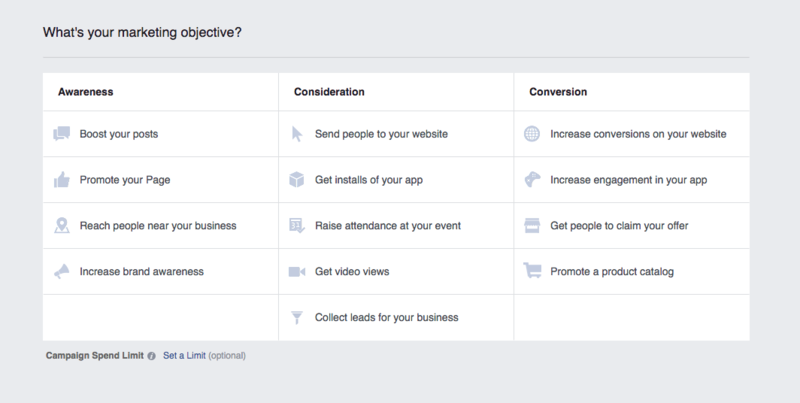 Facebook has an incredible set of targeting options which allows you to, not only reach your ideal customers, but also create multiple segments of ideal customers based on different criteria. This can help you maximize your results, and measure which segments are performing best. When setting your targets, you’ll want to start off determining the location of your audience. This is by far the most widely used setting, and if you’re a local business it can help to get people to actually visit your physical store and make a purchase. You can then choose the demographics to further refine people that are a better fit for your Ads. However, two of the most important parts of targeting are the interests and behaviors of your potential customers. You’ll first need to know where they are, but then you’ll want to identify what other brands, products, or services they’re interested in and what ultimately motivates them to take action towards these interests. You can specify the interests that your prospects might be associated with through the the “Detailed Targeting” section. 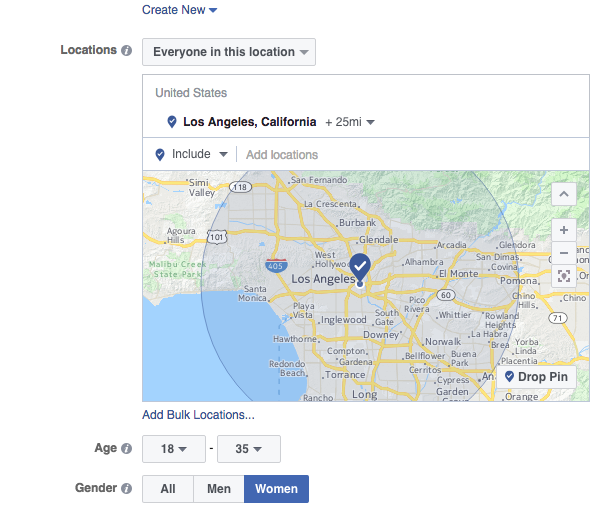 This will also update the audience details, and potential reach as a number of Facebook profiles you can advertise to. Facebook has some great documentation on refining your settings. When setting your budget for your campaign you can choose between a “Daily Budget“ or “Lifetime Budget”. If you’re just getting started, you’ll most likely want to use a Lifetime Budget which will spread your Ad spend out over the life of your campaign. When you start to understand your CPC and CPA metrics more clearly you can start to set the Daily Budget and refine it over time keep your costs down. You can then set the “Bid Amount” which sets what your results are worth. Using the “Automatic” option here will help you get the best bid using Facebook’s bid algorithm. Considering that you’ll likely be running multiple Ads for your campaign, you’ll want to make sure you’re following best practices when creating your Ads so that you can get the best results. The most important piece of the Ad is the media. Whether you’re using a image or video, this is what users immediately see and it can make or break their first impression. Make sure you choose media that fits your brand, uses people and bright colors, and helps tell your story in a short, compelling way. The last thing people want see in their news feed is a bland video or generic stock image. Keep it punchy, powerful, and inspiring. Ads on newsfeed can’t contain images with more than 20% of text on them. Logos, Slogans, etc. Here’s an awesome text overlay tool from Facebook to verify your images are compliant. Next, you’ll need to write persuasive copy to draw in your readers and motivate them to take action. Focus on personalizing your message, and highlighting the unique benefits of your Ad. If you’re debuting a new collection in your store, offer a discount coupon and outline a time sensitive call-to-action. Finally, make sure you continually track and refine your Ad copy to optimize for an increase in conversions. Tracking your campaign performance is essential for getting real results. Most people might be able to set up their campaign, create some awesome Ads, but then fail to see any conversions or engagement. 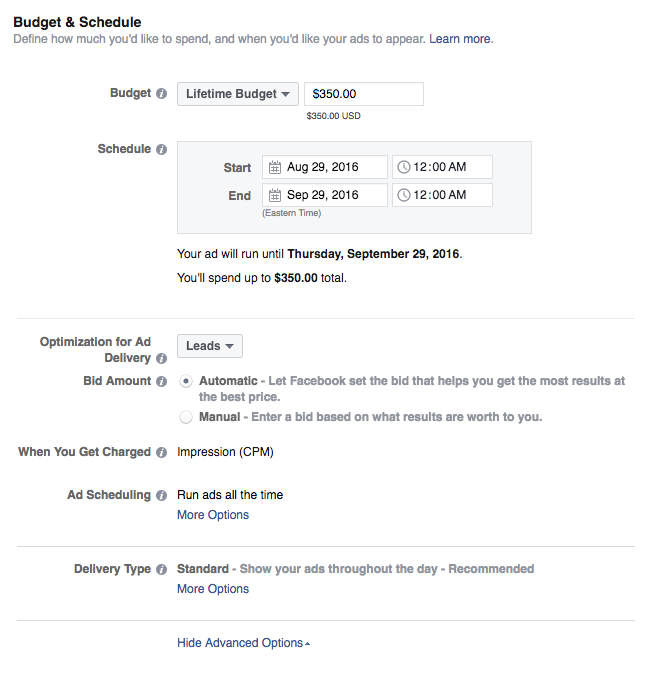 The Facebook Ad Manager shows a complete view of all your campaigns, Ad sets, reach, cost, and overall results. You’ll want to monitor these metrics closely and create a strategy for refining your campaign over time. For example, if you notice your reach is too broad and you’re not getting the conversions you’re after, try refining the parameters and adjust your targeting. Make sure your CPM/CPC metrics match what you set out to achieve with you campaign. And if you’re seeing Ads with a high CTR, you might consider applying those Ad templates to other Ads to see if you can emulate the results. Overall, stay with it and iterate. While it may seem tricky at first, refining your targets to reach your ideal customers and increasing conversions can be the most rewarding initiative for your business.